Seat belts save lives in motor vehicle accidents. As many as 15,000 annual car crash deaths are prevented yearly as a result of motorists wearing seat belts. Unfortunately, school children and others who ride school buses for field trips or events often do not have the option to take the life-saving step of buckling up. NHTSA has, in the past, been equivocal on the issue of seat belts in school buses, according to Daily Progress. The agency has not taken a position in the past, but now the new leader Mark Rosekid has shifting the agency’s official stance. Rosekid gave a statement to the National Association for Pupil Transportation, opening by explaining he is aware the NHTSA hasn’t taken a firm position on seat belt installation before. Now, however, the agency has clearly come out in favor of requiring every school bus to have a three-point belt. A three-point belt goes across both the lap and across the shoulders. Th cost of putting three point belts into new school buses as the buses are constructed would span anywhere from $7,000 to $10,000. Since a new school bus construction typically costs between $80,000 and $100,000, it is a relatively small increase in cost to add seat belts. The cost associated with retrofitting a nationwide fleet of existing buses, however, is significantly higher. To add the three-point belts necessary for safety to an existing bus would run around $20,000. 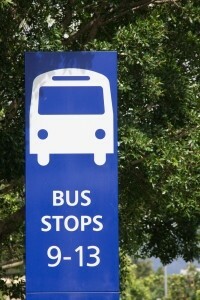 When factoring in all buses nationwide, the bill would total more than $2.34 million. Although NHTSA has now made clear it is in favor of requiring belt use in all buses, it is unlikely there will be a change any time soon necessitating every school bus get seat belts installed. Without belts, however, children and other passengers are more vulnerable to being seriously hurt or killed in a car accident. Seat belts provide myriad different types of important protections, according to Every Day Health. The five ways in which belts protect vehicle occupants include keeping victims from being thrown clear of the crash; restraint of the body’s strongest parts, dissipated force from the crash spread throughout the body, assistance in slowing the body so its momentum is not as fast, and protection for spinal cord and brain injury. Children on school buses do not get the benefits of these protections. Without seat belts to protect bus riders, it is especially imperative for drivers to ensure they operate the bus as safely as possible. If a bus driver fails, an attorney can help victims to pursue a case for compensation for all injuries resulting from driver negligence.